Laptop PC has no CD/DVD drive for software installation - PC Buyer Beware! While searching the web for a Windows 10 laptop PC, I noticed that several online stores and manufacturers stress that some laptops have no CD/DVD drive for software installation. “This computer does not have an internal optical drive for software installation,” or words to that effect. Most users don’t call a DVD drive and optical drive, so why they call them that beats me. Does this mean that I won’t be able to install any additional software unless I download it from the web? No, the note simply means that the make/model of laptop PC does not come with a CD/DVD or Blu-ray optical drive, which means that you won’t be able to install software from a CD or DVD or Blu-ray disc unless you buy such a drive, which could be an internal drive if the laptop has a free bay for one, or an external drive that is connected to the laptop via a USB 2.0 or USB 3.0/3.1 port. Most software can now be installed from a USB flash drive, including Windows itself. Web-search for install windows 10 from a flash drive to find plenty of articles on how to do that. Indeed, Windows 10 only creates a repair flash drive, not a repair CD/DVD. Previous versions of Windows create a repair disc. Flash drives with large capacities are cheap. It was July 12, 2016 when I just had a look at Amazon and found a high-capacity 64GB SanDisk drive for £12. Some ultra-portable laptops and most netbook computers don’t have an optical drive because they don’t have the space in their case for one. Cheap as they are now, low-end, inexpensive laptops may not be provided with a CD/DVD drive/writer. However, such a laptop may have an empty bay for such a drive. If that is the case, you may have the option, at extra cost, to have a DVD drive/writer installed by the seller or manufacturer, or you could just buy and install one yourself. You also may have the option to install a Blu-ray writer, or you could buy one yourself. However, note that if the laptop only has an internal provision for an IDE ATAPI optical drive (old technology), you cannot install an SATA drive (new technology), because the wiring is different between those two standards. Blu-ray drives/writer use the SATA interface, not the IDE ATAPI interface. If the laptop only has internal provision for an IDE DVD drive/writer, you must not purchase an internal SATA DVD drive/writer. But all recent laptops provide at least two and usually four USB 2.0/3.0/3.1 ports that can be used to connect an external CD/DVD/Blu-ray optical drive. 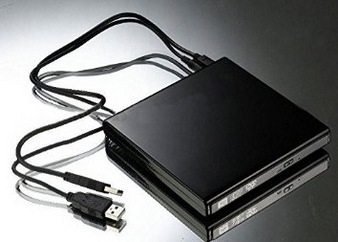 In new laptops, optical CD/DVD drives are modular devices that are very easy to plug in to the laptop by just sliding them into place in the drive bay. When you are upgrading or replacing the optical drive in a laptop, you usually only have to remove two or three screws to remove the old drive, then slide the new drive into the bay and replace the screws. If there was no old drive to replace, just an empty drive bay, you would just insert the new drive into the bay. It will probably come with the required screws. If it is a bare OEM product (supported by the vendor not the manufacturer) that doesn’t come with screws, you should be able to obtain some from a computer shop. Just don’t try using your own screws, which may be too long and damage the drive.